About - Social Caddie Inc.| Social Caddie Inc.
Our mission is to provide affordable innovative marketing strategies for businesses of all sizes. With more than 25 years of sales and marketing experience, the team at Social Caddie have a proven track record of designing and implementing highly effective business development initiatives, strategic partnerships, and tactical marketing programs that have achieved measurable success for a broad range of companies operating in highly competitive industries. Established more than 3 years ago, Social Caddie is focused on Social Media Marketing, Web Design, SEO and Content Management, specializing in travel and tourism, hospitality and lifestyle. Having created a niche within the market and made its mark on the travel industry with an array of high-profile Caribbean clients. Renowned for our creative approach to marketing, we pride ourselves on the ability to create tactical strategies that land clients long term result. The team at Social Caddie have worked with domestic and International companies that offer a variety of services and products. It is the goal of Social Caddie to implement a marketing communication strategy that will increase clients presence through the development and distribution of engaging content. The distributed content is also strategically planned to maximize Search Engine Optimization. Clients benefit from the agency’s combined experience and know-how. • We’re just the right size – small enough to provide personalized attention, yet big enough to get your important work done. 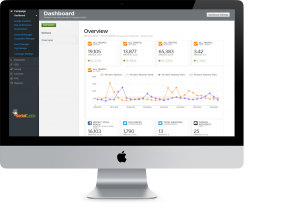 Enter your website to get your FREE report with key SEO metrics. 2. Solve the items that need attention using our tips. Review your SEO analysis for a snapshot of your web presence, then begin to make adjustments to correct errors. Get your SEO tasks checked off your list and rerun your report to analyze your progress. **Upgrade to unleash the full power of the Scorecard. Thank you for submitting your request for a FREE Digital Marketing analysis. Our team is ready to review your website’s and online marketing visibility and provide some tips to help you increase traffic, drive leads and maximize revenue. Verbal SEO – The Art of Creating Stories and Driving the Conversation. Thank you for joining the Social Caddie Newsletter. Stay tuned for the latest news and tips that can help keep you ahead of the game. Copyrights © 2017 All Rights Reserved by Social Caddie Inc.